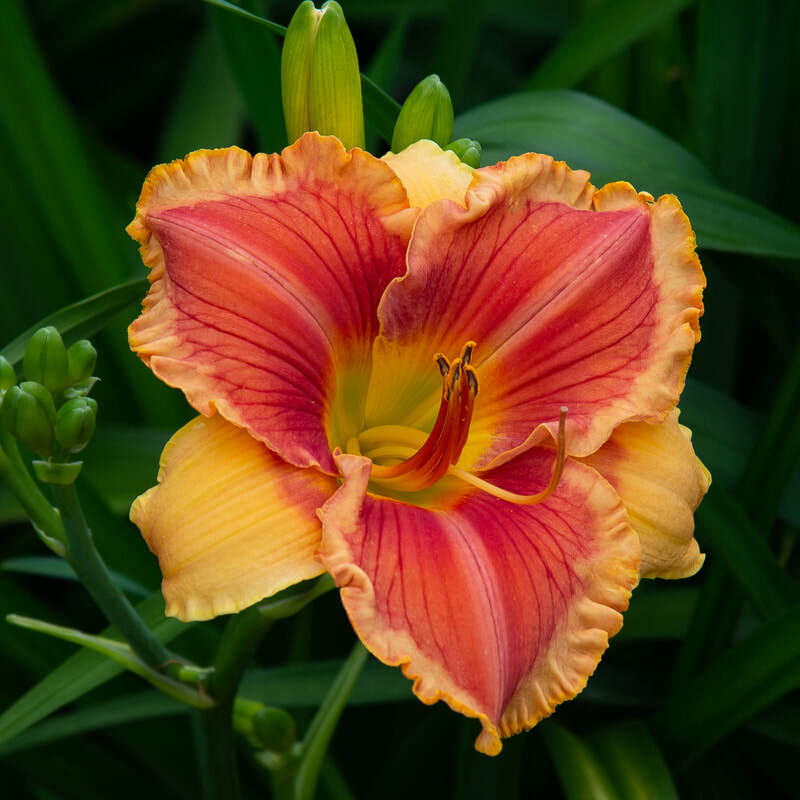 ​If there's a "sure bet" perennial, it must be the daylily. They thrive from Minnesota to Florida (zones 3 to 9), tolerate a wide variety of soil conditions, are not troubled by diseases or pests, and bloom faithfully for years with virtually no attention. 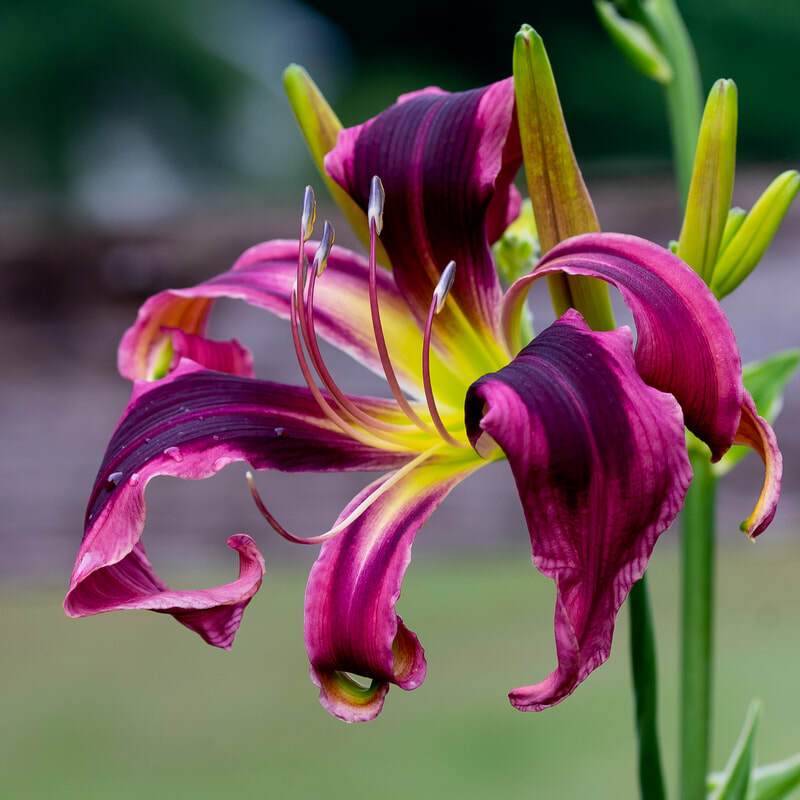 The daylily's botanical name, Hemerocallis, means "beauty for a day", and indeed most daylily flowers open in the morning and die by nightfall. 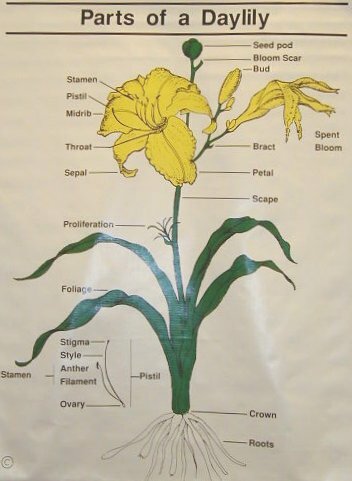 However, each flower stem (also called a scape) typically has at least a dozen flower buds, so the plant stays in bloom for several weeks. 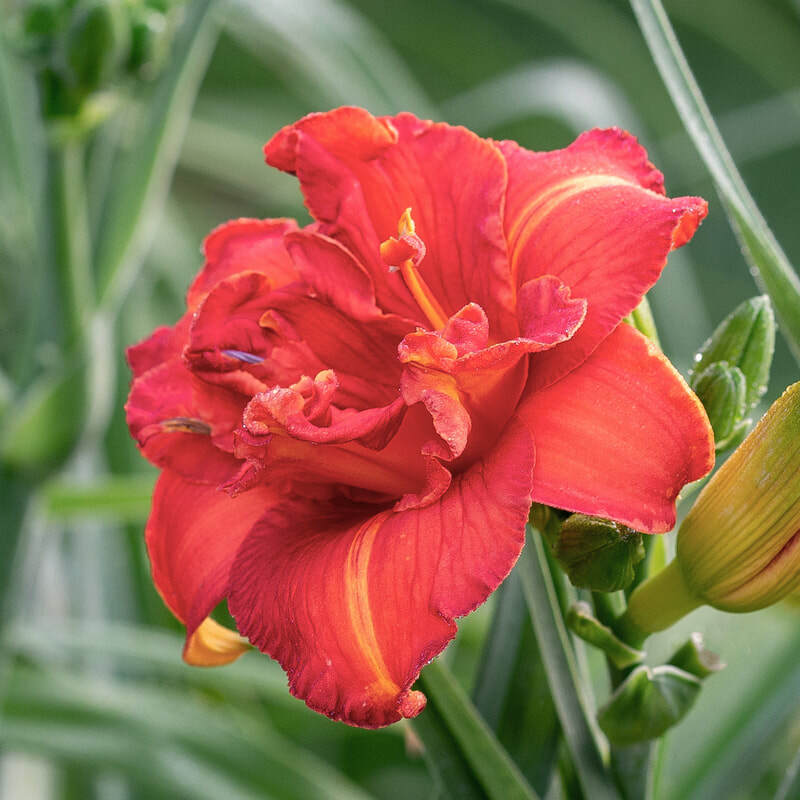 Flower breeders have had a field day with daylilies and there are now thousands of named cultivars. 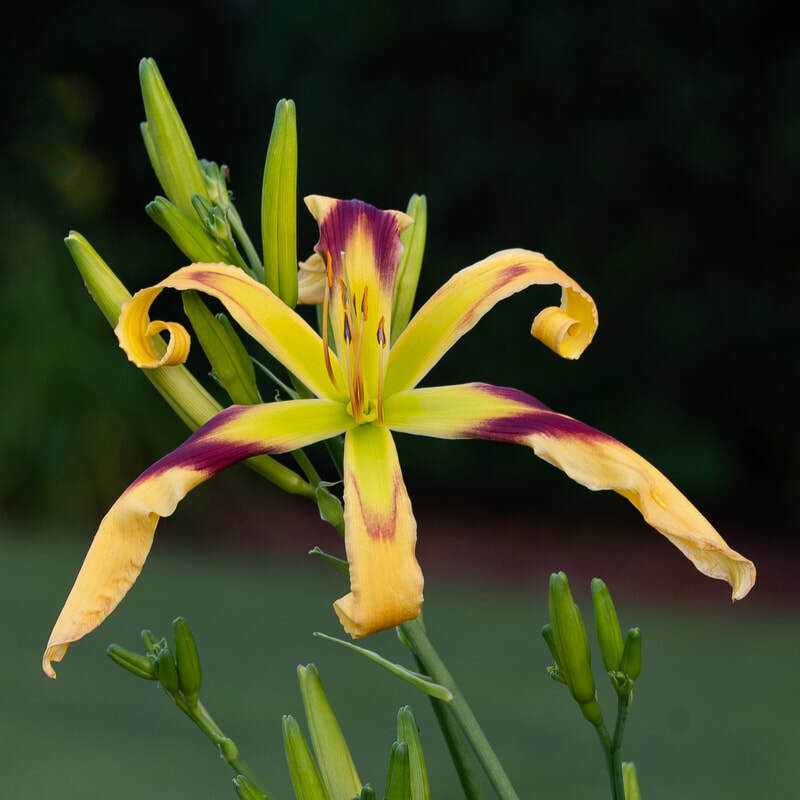 These cultivars can be grouped in a variety of ways: by bloom time (early, mid-, and late), flower color (white to yellow, pink and purple), scape height (6 inches to 4 feet tall), and flower form (trumpet, double, ruffled, recurved). Amend the soil with compost before planting. Space plants 18 to 36 inches apart and plant so the crown is about 1 inch below the soil surface. Water well and mulch with bark or straw to conserve moisture and prevent weeds from growing. Although resilient once established, young transplants should be kept free from weeds and well watered the first year.